Brew Hui Brews: Stout, v2.0 | Brew Hui. During my hui with Søren Eriksen, our conversation turned to the topic of ingredient source – in particular, the availability of prime brewing ingredients from local producers. Søren spoke passionately about the benefits of sourcing ingredients from local producers – but added that he was, first and foremost, a slave to flavour. As a small ‘craft’ producer, the creation of consistent deliciousness is his calling card – and if he can’t accomplish this using all-local ingredients, he’s prepared to look to offshore producers to fill the gap. Søren went on to say that the gap is closing fast – as our local producers diversify their range and get better at producing it repeatedly. He used the example of local malt producer Gladfield Malt: in previous years, a commercial brewery may have resisted sourcing malt from the Cantabrians because their (relative) small size led to quite a bit of batch-to-batch variation – and when you’re trying to produce consistent deliciousness, variability is simply bad business. But as Gladfield grows, Søren reckons Ye Old Consistency Excuse for sourcing grain from offshore is quickly disappearing – and as their range diversifies, the locals are increasingly making it drop-dead easy for New Zealand’s smaller commercial breweries to source most (if not all) of their malt within cooee of home. The news is even better for we homebrewers: because the ingredients are made locally – and thus don’t need to be shipped from the other edge of the world – they’re consistently cheaper (and feasibly fresher) than their imported counterparts. And while batch-to-batch variability might concern a commercial producer like Søren, it doesn’t really affect us at all – since a) our ‘brew length’ is rarely more than two-dozen litres (as opposed to several thousand), and b) the source of our fermentable sugars is a relatively minor concern compared to the other might-go-wrongs that can occur between mashing-in and bottling-out. 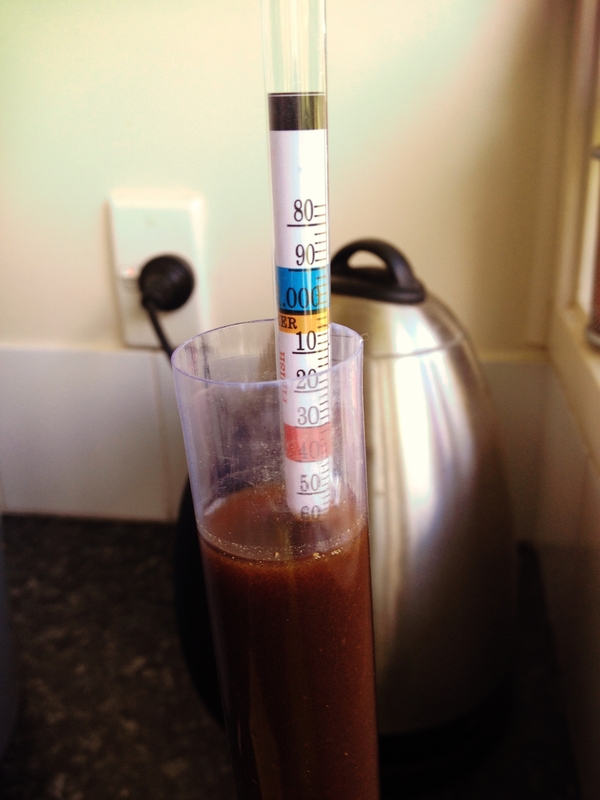 The supposed subject of this week’s post – namely: the production of Brew Hui Stout v2.0, of which we’ll actually talk about very little – was, in terms of ingredient source, a decidedly local affair. Gladfield’s provided the malt backbone (via 4kg of Pale Ale malt) and the all-important Stout-ness (via 500g of Chocolate malt) – while the bittering came from a single addition of my new-fave hop, New Zealand Goldings. The brew day was a joyous success, and early-signs are that the beer will be Very Good Indeed – but most importantly for the current discussion, I was able to replicate a style from the Motherland using almost-entirely-Antipodean ingredients. The quality and uniquity of our malt and hops are yet another reason we Kiwis are so damn lucky. Our hops in particular enjoy an excellent international reputation – not as worthy versions of styles available elsewhere, but as stand-alone entities with unique and unusual characteristics. These ingredients are best showcased in our uniquely-New Zealand beers: New Zealand Pilsner, for example, douses the drinker with oodles of grassy cat pee – which might sound all-kinds of wrong, but trust me: it only sounds that way. 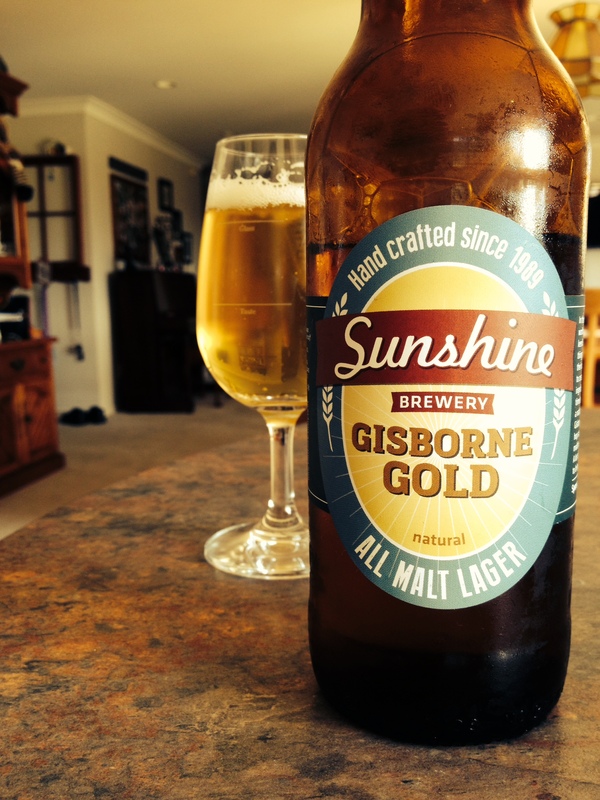 The oft-celebrated frontier-bashing example of this style is Emerson’s Pilsner; but I reckon that Sunshine Brewery’s Gisborne Gold – while not labelled as a New Zealand Pilsner – does a magnificent job of showcasing New Zealand hops, all amongst a quaffable-lager backdrop. Another suitable example is so-called (let’s-claim-it-before-the-Aussies-do) ‘New World’ Bitter. ‘New World’ loosely translates to ‘fruity’ here – with the best examples of this style having the bold malt complexity of an Old World Bitter, but the aroma and finish of a hop-forward Pale Ale. While Emerson’s Bookbinder is a perennial favourite here, to my mind it’s Garage Project’s Trip Hop that defines this world-colliding style – with its enormous malt backbone generously showered with freshly-cut tropical fruit. It’s our interpretation and re-definition of traditional styles that make our beers uniquely New Zealand-ish. Beers like Bookie, Gissy Gold and Mussel Inn Captain Cooker – the latter replacing hops with the tips of branches from Manuka trees – prove that our larder is heaving with unique and distinctive ingredients, ripe for the plucking. It seems only a matter of time until some smart cookie captures and cultivates a quintessentially-New Zealand yeast – at which point the possibilities presented by our local ingredients will tend toward infinite. I’m sure that I’m just being naïve, but I reckon New Zealand’s brewers – both home and commercial alike – have an obligation to buy local whenever we can. Not only is it the smart thing to do – for sensible reasons like reducing our carbon footprint – but it’s also the right thing to do. Buying local puts more money in the coffers of local producers – which in-turn makes the development of new products like Manuka Smoked Malt viable. 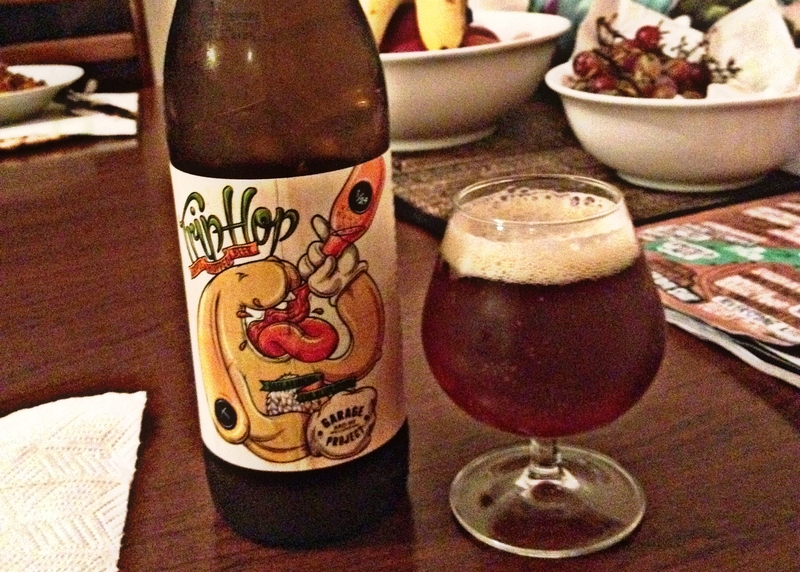 I understand that it isn’t possible to make a heavy-hitting West Coast IPA without a big whack of U.S. hops; but in that situation, perhaps we could all consider using malt produced from the Canterbury plains as our backbone instead of Golden Promise or Maris Otter. I reckon our collective wallets – and souls – will be better-off for it. 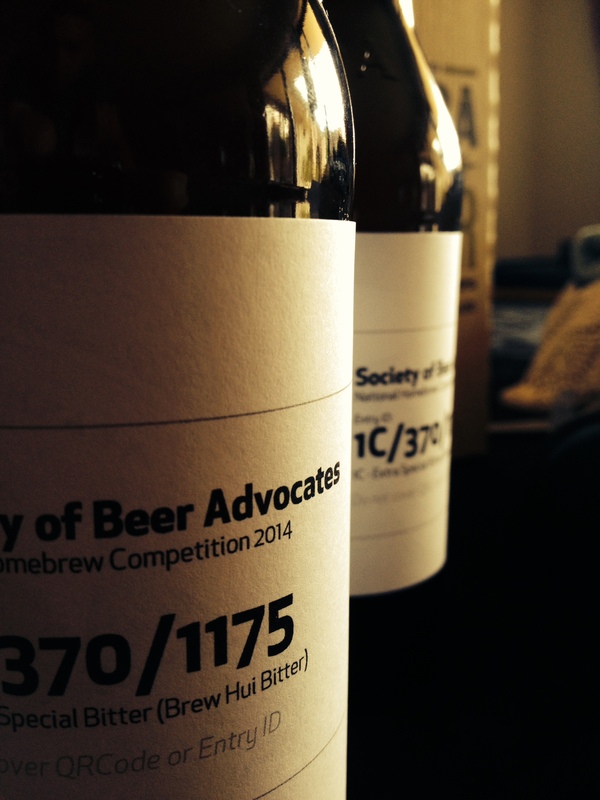 To return from masturbatory point-making to matters at hand: tomorrow, Brew Hui Bitter will – along with 414 others – face trial at our National Homebrew Competition. While the original plan was to submit three beers – Pale Ale, Bitter and Stout – I made a conscious decision to only enter Brew Hui Bitter v2.0. Quite aside from the fact that I (with help from friends and Whānau) have already drunk all the Pale Ale, it never quite got there for me – remaining a disappointing, infected mess (much like gonorrhoea). And as you can tell, Stout v2.0 is running rather late to be competition-ready – leaving Bitter v2.0 alone to proudly fly Brew Hui’s flag. I won’t lie: I’ve got high-hopes. There’s no question that Bitter v2.0 is my best brew to date – I reckon it wouldn’t be out-of-place flowing from the taps at Galbraith’s – but it’s quite impossible to know what the blush-inducing (and border-line ridiculous) line-up of elite judges will make of it. All will be revealed on the morrow: until then, it’s brown trousers time.